Kenwood’s new HF/50MHz/70MHz Base Station masterpiece. A full down conversion receiver, built-in roofing filters for 500Hz / 2.7kHz / 6kHz / 15kHz and a 270Hz option. Absolutely - the Classic rig of 40 years ago. Everyone wanted one! As common then as the IC-7300 is now, but I think this is going to be more up-market that the ICOM IC-7300. It’ll be interesting to hear what the prices are going to be. Very nice I’m sure… but coming back down to earth for a minute - where’s the SDR based Ft-817 / 818 replacement with 10-20 watts and 2m SSB…? Ahh, the Elecraft badge was throwing me off thanks Wunder! 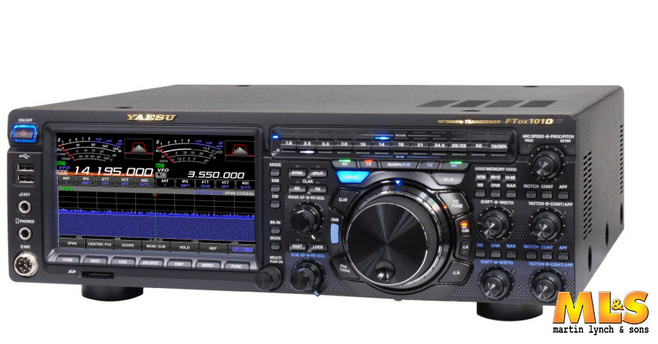 Well hang on, that new radio from Yaesu announced the other months does 2m SSB and 70cms SSB. I must have missed that one ! But would it fit in my rucksack…? That’s why I put this in the Off Topic section - while interesting for Chasers (perhaps), these are not rigs to carry up to a summit. 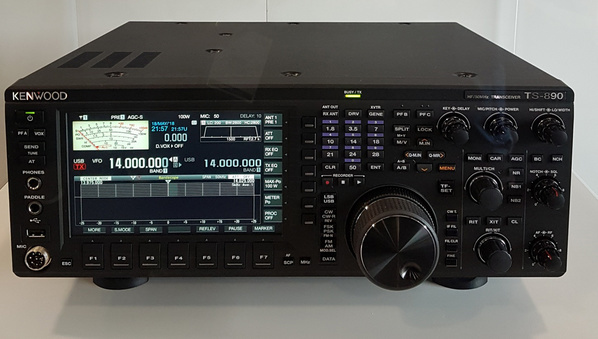 As for the FT-791, (as it was rumoured to be going to be called), I think Yaesu bought themselves some time with the 818 because of part shortages but I would still expect to see a replacement for the FT-817/818 in the future. I’m guessing that Andy was referring to the FT-818ND Bob. I find it interesting that all three large manufacturers will now have SDR rigs that can work on 70MHz (4 metres). I have heard that Yaesu and AOR have been working together, and the FT-101D does have a little ‘AOR-ness’ about it IMHO? Yaesu will lose the market to the Young Pretenders from the Far East. There may be some technically good products but they lack track record, build quality, production longevity and above all brand recognition. Fair points… ok, some of the market? Indeed but they respond to demand. Can they sell just as many without those bands? If so, no need to add the complexity and build cost. The only reason the 817 has survived so long is the many hams who bought them. Sadly half or more are still in the original packaging while the owners kid themselves about their future portable activities, but unless those guys had bought those storage radios, the 817 would not have survived and would have given way to whatever market was demonstrating interest. Not even sdr technology has critical interest levels imho. It remains exotic technology with too many menus for many users who simply don’t know why it’s any better than conventional linear conversion designs. No, just the number of people advertising radios with the regrets about having never used them, and the people who say they have a 817 but have never been heard using it. So quite unreliable data, to be sure. Not in my mind: 70 cm is missing completely and the internal 2 m transverter is disappointing in my eyes. I use my KX3 for HF and I see the advantages over the FT-817 for HF. But for 2 m I still prefer the FT-817. Really? I really would like to see some FT-817 successor with freely adjustable bandpass filters, a powerfull noise blanker/reduction, a notch-filter, for TX a speech compressor and of course some neat waterfall diagram. All features to be done in some fancy DSP instead of analog circuity. For me SDR is not a black box transceiver which can only operated with a PC. I still prefer the pyhsical front panel with knobs and controls. But a technical concept allowing features requiring much effer in analog circuits. No problem with that, Michael. But my point is that it is the total market’s preferences and interests that affect manufacturers’ priorities. You understand the need for those capabilities but I suspect the majority of the buyers don’t. If we can change that and make it clear that there is widespread demand for SDR technloogy at affordable prices, things will be more likely to change. No problem with that, Michael. But my point is that it is the total market’s preferences and interests that affect manufacturers’ priorities. If that’s the case as the base SDR technology expands it’s capabilities on Tx (2GHz + is already possible on Rx) may we perhaps see 144, 220, 432 & 1296 MHz included on some HF SDR rigs in the future, I wonder? I know the ICOM IC-9700 (?) is there to start from 2 metres are go up. Portable rigs bring their own problems of course due to the rediced size & weight conditions. It’ll be interesting to see what comes in the next few years.